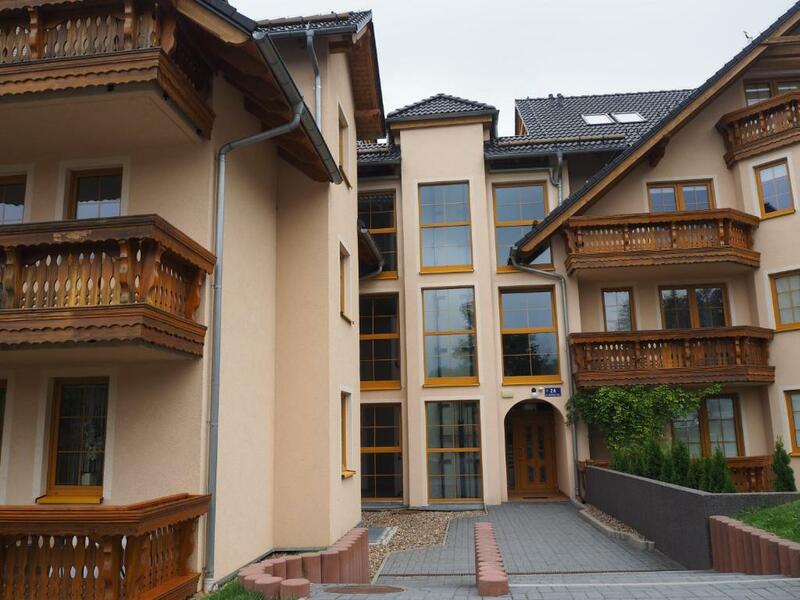 Apartament 1602 offers air-conditioned accommodation in Karpacz, 0.9 miles from Western City and 1 miles from Kolorowa Ski Lift. The apartment is 1 miles from Bialy Jar Ski Lift. Free WiFi is available throughout the property. 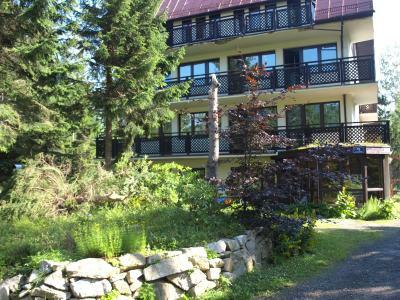 Pensjonat Śnieżka is located in a peaceful area of Karpacz, a few minutes’ walk from the centre of the town. The property features a spa area with a salt cave, a jacuzzi, a tropical shower, a dry and steam sauna, a solarium and a massage chair. 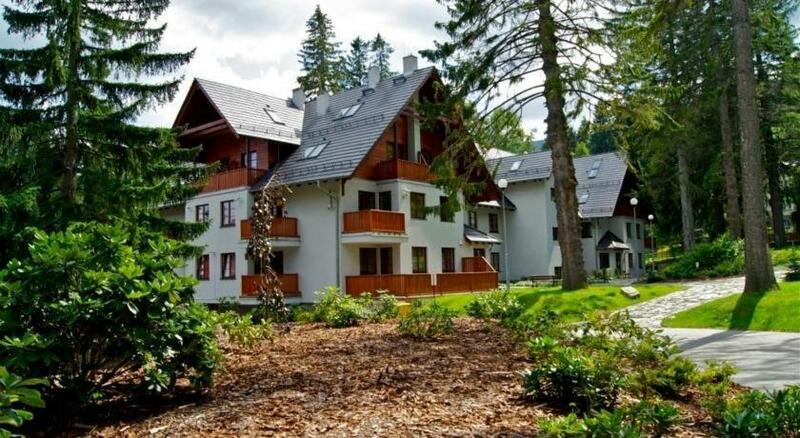 Set an 11-minute walk from Kolorowa Lift in Karpacz, Apartament 9 osobowy offers accommodation with a kitchenette. The accommodation is 0.9 miles from the Bialy Jar Ski Lift and features free WiFi. 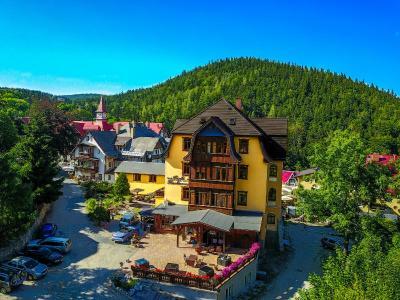 Penjsonat Widok is located in Karpacz mountain resort, 0.9 miles from the town centre. It features spacious rooms with free Wi-Fi, a seating area and private bathroom with a shower. Set in Karpacz, a 6-minute walk from Kolorowa Lift, Apartament Bambusowy provides a living room with a flat-screen TV, and free WiFi. The property features garden views, plus is 650 yards from Bialy Jar Ski Lift. Guests can enjoy a wide range of spa facilities and comfortable rooms at Perła Karkonoszy SPA, right in the centre of the small spa town and ski resort of Karpacz. One of our bestsellers in Karpacz! Offering a mountain view, Apartament biały pod Śnieżką is a self-catering accommodation located in Karpacz. The property is located 2,1.9 miles from the Bialy Jar ski centre. Piecuch offers rooms in Karpacz. Around 450 yards from Bialy Jar Ski Lift, the property is also a 7-minute walk away from Kopa Ski Lift and offers free WiFi. Vang Stave is an 11-minute walk away and Kolorowa Lift is a 17-minute walk from the bed and breakfast. This property is 4 minutes walk from the beach. 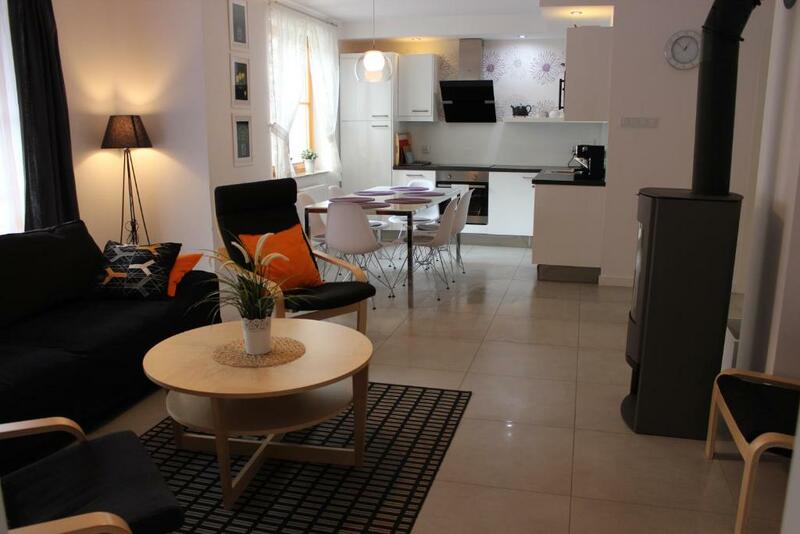 Situated within a 10-minute walk of Kolorowa Lift in Karpacz, Apartament CARMEN provides accommodation with free WiFi. 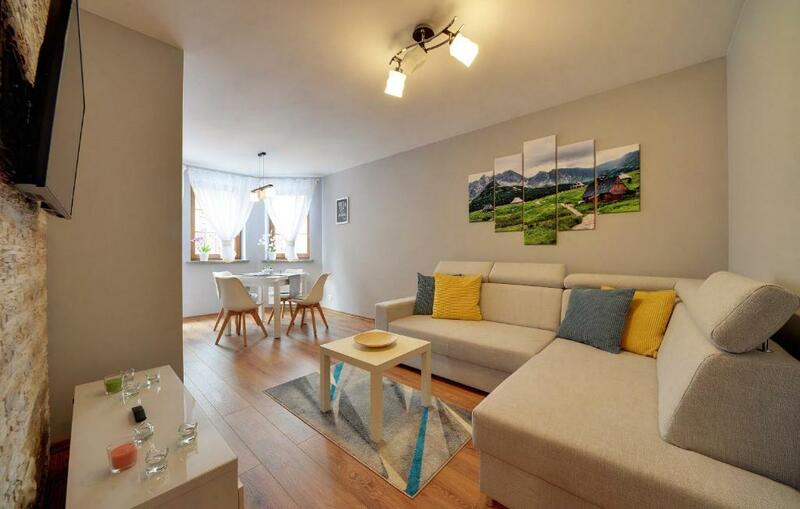 Set in Karpacz, 0.8 miles from Western City and 1.2 miles from Kolorowa Lift, Pogodny provides accommodation with amenities such as free WiFi and a flat-screen TV. The apartment is 1.6 miles from Bialy Jar Ski Lift. Apartament Chilli offers free parking. 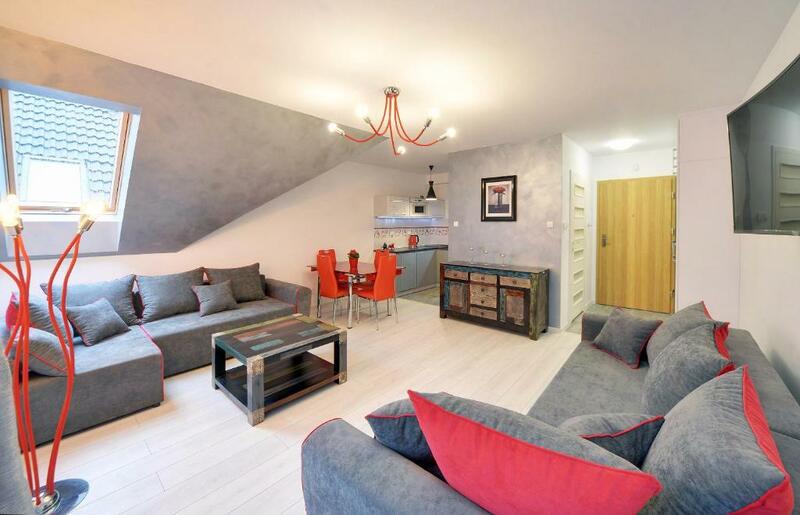 This apartment comes with heating, a wardrobe, a flat-screen TV, and a private bathroom with a hairdryer. 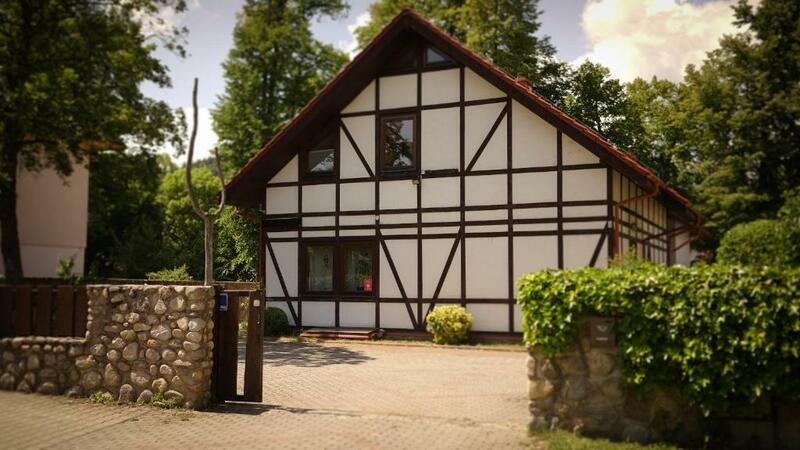 Situated in Karpacz in the Lower Silesia region, Pokoje Gościnne "Willa Mil" offers accommodation with free WiFi. 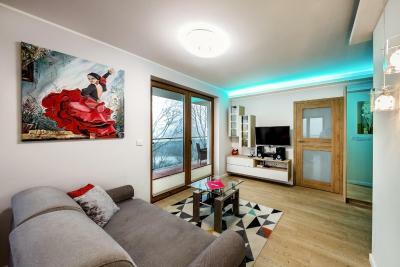 This apartment comes with heating, a wardrobe, a flat-screen TV, a kitchenette with a fridge and an electric kettle, and a private bathroom with a hairdryer and a shower. One of our bestsellers in Karpacz! Pokoje Gościnne Daria is offering accommodation in Karpacz. 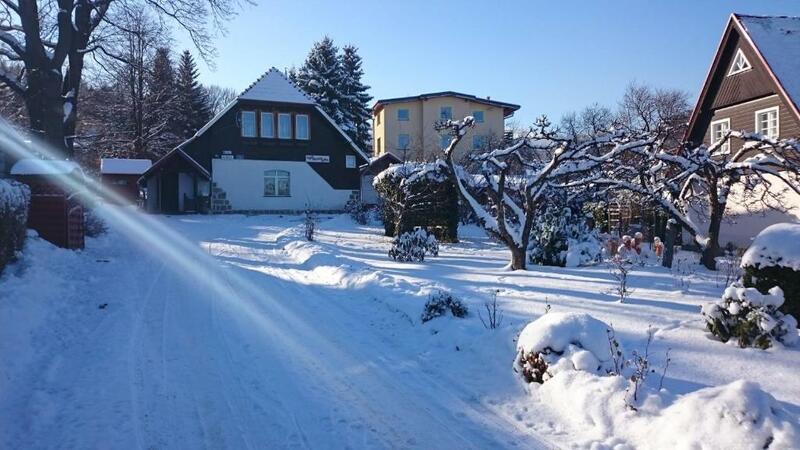 A 3-minute walk from Kolorowa Lift, the property is also 0.7 miles away from Bialy Jar Ski Lift. The property is 1.2 miles from Kopa Ski Lift and 1.3 miles from Vang Stave. Apartament DOMINO offers free WiFi. This apartment comes with heating, a wardrobe, a clothing iron, and a private bathroom with a hairdryer. One of our bestsellers in Karpacz! 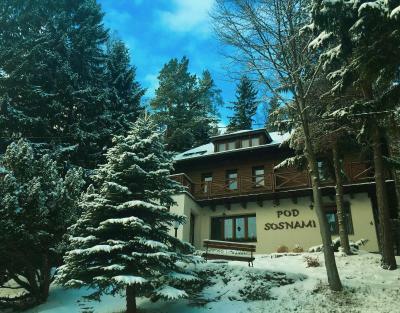 Pokoje Go?cinne Mirena features free WiFi and skiing possibilities. The accommodation units come with heating, a wardrobe, a flat-screen TV and a private bathroom. 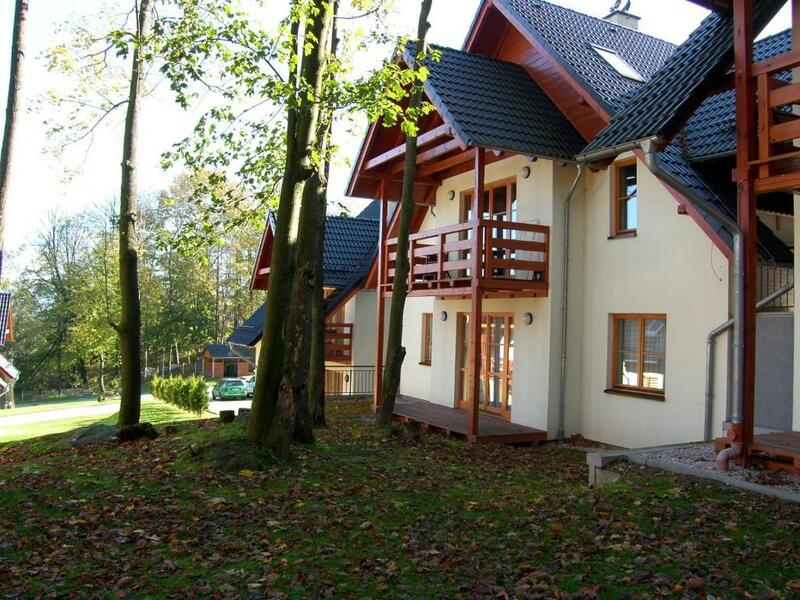 Offering free WiFi and mountain views, Apartament Dwupoziomowy z Sauną - Apartamentuj is an accommodation situated in Karpacz, just a 20-minute walk from Kolorowa Lift and 1.1 miles from Alpine Coaster. The property features garden views and is 1.6 miles from Western City. One of our bestsellers in Karpacz! Pokoje Gościnne Pod Sosnami is located in Karpacz, far from city noises. 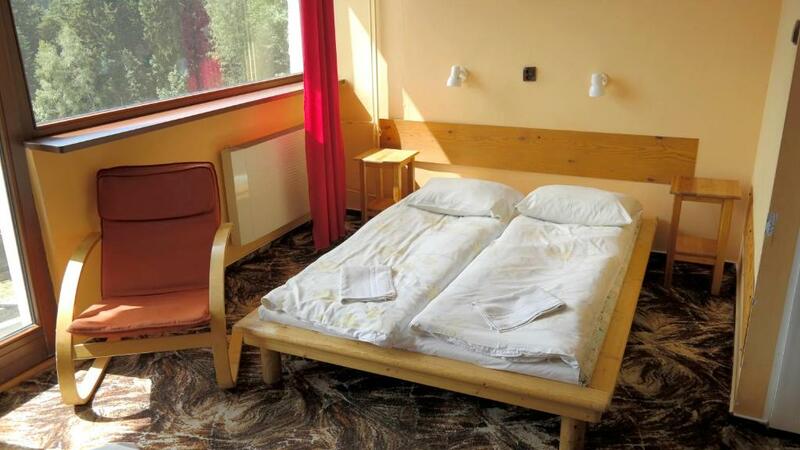 It offers warm-coloured rooms with free Wi-Fi, as well as a games room.